The Groupe de Recherche en Homéopathie Binaurale Empirique was created from a desire to open up a new area of research in binaural beats, a sonic phenomena produced within the brain. When two slightly different tonalities are experienced separately by each ear, the mind synthesizes the two tracks. For Média Médiums, we have invited different artists to experiment with our machines and prepared colored sounds (white noises, pink noise, etc.). During the exhibition a set up for group listening allows for both a comfortable and intense experience of these phenomena. The inaugural experience, April 11th, will be based on the color blue. The starting point for this choreography is a collection of patented gestures. When one invents a new device, one applies for a patent on its various functionalities but also for the gestures that accompany it. Julien Prévieux has been collecting these patents and gestures for a number of years now. They are a central part of the video What Shall We Do Next?, present in the Média Médiums exhibition. For this performance, he worked with dancers on the deformation and hybridization of these movements, the goal being to create a poetic score in contrast with the functional dimension of the original gestures. With Anne Barnier, Léa Bosshard, Colibri Cottier, Hortense Kack, Margot-Zoé Renaux, Etienne Veillon. Following the performance What Shall We Do Next? Jean-François Jégo and Julien Prévieux will open a discussion on gestures linked to new user interfaces and reflect upon their implications. With the massive deployment of new ways of interacting with machines (touch pads, motion detection, eye tracking...) our gestures evolve and our movements become codified, constrained and patented. If certain companies can stake a claim to things which on first sight seem to belong to the public domain, these gestures can also be reappropriated. From the production of gestural hybrids to creating new types of movements, we will discuss how computer programs and choreographic practices attempt to regain control over these imposed standards. Benjamin Franklin warns us - we are becoming blind. We are so accustomed to discredit anything that is not scientific that we discard any attempt at creating signification which cannot be demonstrated. We must keep in mind what Mesmer was searching for, rather than things he claimed to have found. We must observe what he and others of his time believed so intensely as to produce spectacular effects. The baquet revealed beliefs and desires that the scientific mindset couldn't manage to stiffle. On the contrary, one may even affirm that science, as practiced over the next two centuries, continued to follow Mesmer's desire of a profound conductivity between humans, the traces of which are to be found in today's technological developments. On occasion, Self-Sorting Documents is used as a performance tool, wherein a specific path is carved out of the mass. Voice acts as the interface, allowing interaction with the image archive, documents fleetingly moving in and out of view. Technically Speaking is one of those occasions. The interest in the question of the occult for a certain fringe zone of the scientific community came to a head in 1848 following the accounts of the spirit phenomena of the Fox sisters. Table-turning and other paranormal experiences, which became wide-spread in the United States and Europe during the second half of the 19th century, pushed researchers to consider these unexplainable events as new objects for scientific experimentation. In parallel to the numerous inventions which came into view at the beginning of the 20th century, a certain number of researchers attempted to produce tools and machines to analyse these phenomena in their laboratories. From the spirit telegraph to parapsychological applications for smartphone, the inventory of these often forgotten or little known technical objects allows a glimse onto a possible technical history of parapsychology which we propose to retrace. The "Encéphaloscope". The utopia of the direct vision of thought at the turn of the century. 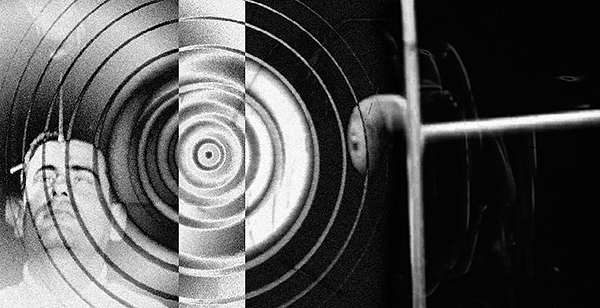 Using the whimsical short story, L'encéphaloscope published in 1900 by Kurd Lasswitz, one of the pioneers of science fiction in Germany, as a starting point, we will revisit one of the fantasms opened up by the discovery of X-Rays in 1895 – seeing, not only through the opacity of the body but directly into the cranium itself, in the absolute transparency of exchanges and the desire to free oneself from the obstacle that is mediation. Over the course of the twentieth-century, the "schizophrenic" gradually displaced the medium as the primary target of media hauntings. This talk presents a brief overview of schizophrenia as a "disease of information" and considers the historical braiding of psychosis, electronics, and media. How did "the media" become the primary antagonist in paranoid delusions and what does the ongoing proliferation of information technologies portend for the collective "sanity" of the world? A short ubiquitous lecture that will recount how the Crassula ubiquiste collection came into existence, will explain in what respect these plants are not individuals, will recall the idea of inter-plant communication, will evoke transmission in terms of quantum entanglement, and will end with the suggestion of a relationship free from communication. With the rise of radio technology in the 19th and 20th century, the global simultaneity of wireless becomes the paradigm of a new temporality. The time signal represents the first global “transmission” to everyone – long before the development of the radio. Here begins the ubiquity of “wireless” media pervading the public as well as the private sphere. The Eiffel Tour plays a central role in this development - it is from here that the first time signal as well as the first European-wide radio program was broadcast. At the same time, artists and writers (Delaunay, Apollinaire, Marinetti, Cendrars) celebrated the commencement of the wireless era in their images and poems relating to the Eiffel Tour. Today, we adopt the coordinates of space and time through mobile communications, GPS navigation and radio-controlled clock directly from global wireless networks. Ubiquity and simultaneity have thus become everyday experiences. With mobile communication technology the wireless has become almost a part of our bodies to a point that the inevitability of its ubiquity has become a quotidian plague – “vacation in the dead zone” is expressed as a tangible desire. This is a topic contemporary artists have engaged with in an innovative, critical, sensual or diverting manner. π-Node is an experimental platform for hybrid Web/FM radiophonic composition. π-node is a multi-dimensional radio infrastructure platform that experiments the narrative, participative and imaginary possibilities of Radio through the use of both historic and new, digital technologies. The interconnectedness of these various dimensions, tools and networks allow for the establishment of a decentralized and hitherto unseen diffusion structure, where each of the network's nodes serve to both receive and diffuse information. Such a structure creates a break with the classic one-way Radio format, substituting it with a horizontal peer-to-peer model that creates room to play with new potentials for multi-diffusion and superposition, as well as room to rethink the Radio network's topology. π-node aims to explore the many dimensions of the Radio format and of radio diffusion - its physicality (ether, radio waves, and the electromagnetic spectrum), its spatiality (bandwith, frequencies), its infrastructure (network of radio receivers/emitters), its methods of creation and editorial content management (programming boards/teams, recording studios), its methods of metadata reception (RDS/SDR), its history (radio libres and pirate radio movements, ...), its legislation, and most importantly, π-node also wishes to examine Radio's future role at a time when everything is moved towards "the All Digital". Material is both evidence and self-obscuring; a literal drama of sheer light and absolute darkness (our substrate) exacerbated by the excitation of substance and its subsequent bodily detection. The performer is cast as a volatile detective, with an audible, contemporary forensics unearthing particularly earthy communications from le Cimetière du Père Lachaise.